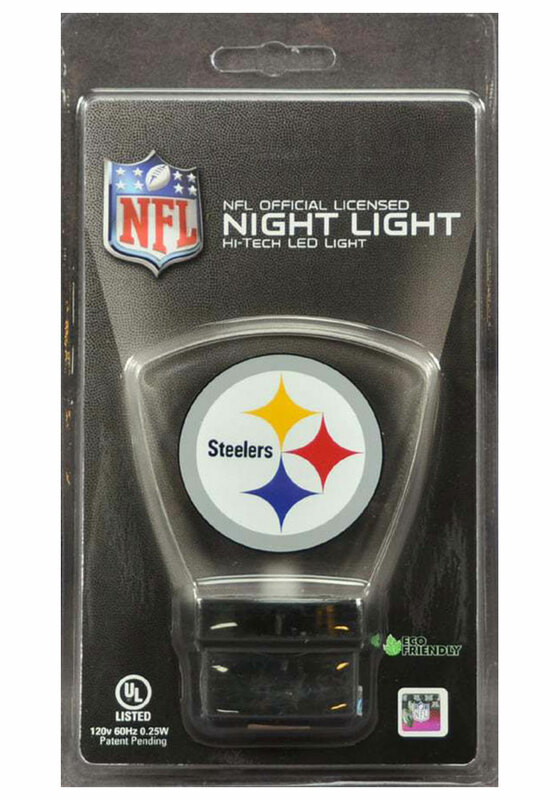 Measures 1" x 3" x 4"
Shine a light for your Steelers pride with this Pittsburgh Steelers LED Illuminated Night Light. This Night Light features a silk screened team logo on a see-through, acrylic panel. 5 year guarentee and will help you find your way in the dark. Go Steelers!